Harris was close to Seward — to whose political machine Harris owed his election to the Senate. Prior to that, Harris had been a law professor and served for 13 years as a State Supreme Court judge at Albany. He had lectured at the Columbian College of Washington and served the American Baptist Missionary Union. 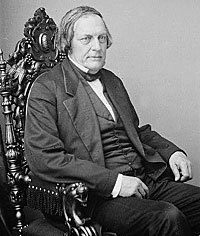 In February 1861, he was selected as a compromise choice of Republicans to succeed Senator William Henry Seward. He wasn’t the first choice of New York Republicans — who were split at an Albany convention between attorney William M. Evarts, backed by New York Republican boss Thurlow Weed, and New York Tribune editor Horace Greeley, backed by opponents of Weed. On the first ballot of the Republican caucus, Evarts and Greeley tied with 40 votes — twice the total which Harris polled. According to Greeley biographer William Harlan Hale, “Weed, usually so amiable and serene as he moved through the lobbies with his stately gait and whitening hair, was worried this time. On the first ballots, Greeley was showing extraordinary strength. The boss retired to the Governor’s room and bit his cigar. Fearing that Evarts might not pull through Weed had given his blessings to a third entry in the race — the former antirenter, Judge Ira Harris — whom he kept in the background for possible emergency use.”8 Hale seems to overstate Weed’s role since Harris had been a candidate since the first ballot. “On the seventh caucus ballot, Greeley began pulling well ahead of Evarts, with the insignificant Harris trailing. Another ballot like this and Greeley might win against the whole machine. Hurriedly Weed issued his orders: all Evarts men were at once to switch their votes to Harris,” wrote historian Hale.9 Harris then defeated Greeley in the Caucus and went on to defeat Democrat Horatio Seymour in the full legislature. “The eighth ballot showed a marked trend to Greeley,” wrote the authors of A History of New York State. “When the news reached Weed, he thrust a cigar in his mouth, completely unaware that he already had one between his lips, lighted it, and said excitedly to the messenger, ‘Tell the Evarts men to go right over to Harris — to Harris — to Harris!”10 When a Republican assemblyman rushed up to Weed during the proceedings to inquire if the boss knew candidate Harris, Weed replied: “Do I know him personally? I should rather think I do. I invented him.”11 For Greeley, who was in the West on a lecture tour during the caucus balloting, the loss was merely the latest battle in the long war between himself and the Seward-Weed machine. 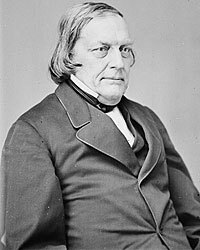 Stoddard, a former Illinois editor, did not write of the controversy which Senator Harris created in February 1862 when he voted against the expulsion of Indiana’s John Bright from the Senate. In response, the New York State Legislature passed a resolution commending Bright’s expulsion and commending Senator Preston King for voting for it. 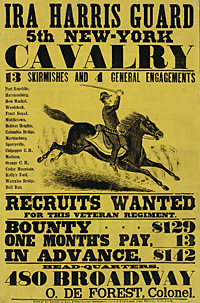 Harris’s son William was a colonel in the Army Ordnance Department. Harris’ daughter Clara and her fiancé Major Henry Rathbone, who was Harris’ stepson, were the Lincolns’ guests for the theater on the night of April 14, 1865. The Lincolns were late in picking up the couple at the Harris residence and late arriving at the theater. “The beautiful weather of the morning had given way to fog as the presidential carriage turned out of the White House gates,” wrote biographer Benjamin Thomas. “Gas jets on the street corners glimmered faintly through the mist. The sodden air muffled the horses’ hoofbeats. At half past eight Charles Forbes, the White House coachman, drew rein in front of Ford’s Theater.’20 The Lincolns were alone with their guests when John Wilkes Booth entered their box at the Ford Theater and assassinated the President. Clara Harris subsequently married Rathbone. Tragically, her husband later went insane and killed her. Benjamin Thomas, Abraham Lincoln, p. 476. Glyndon Van Deusen, Thurlow Weed: Wizard of the Lobby, p. 264. David M. Jordan, Roscoe Conkling of New York: Voice of the Senate, p. 85. Francis Fisher Browne, The Every-day Life of Abraham Lincoln, p. 647. John Hay and John G. Nicolay, Abraham Lincoln: A History, . Carl Sandburg, Abraham Lincoln: The War Years, Volume I, p. 490. John M. Taylor, William Henry Seward, p. 209. William Harlan Hale, Horace Greeley: Voice of the People, p. 238. David M. Ellis, Jams A. Frost, Harold C. Syrett, and Harry J. Carman, A History of New York State, p. 241. Ferris, The Trent Affair, p. 188. Michael Burlingame, editor, Dispatches from Lincoln’s White House: The Anonymous Civil War Journalism of Presidential Secretary William O. Stoddard, p. 8 (June 6, 1861). Michael Burlingame, editor, Dispatches from Lincoln’s White House: The Anonymous Civil War Journalism of Presidential Secretary William O. Stoddard, p. 47 (December 8, 1861). Michael Burlingame, editor, Dispatches from Lincoln’s White House: The Anonymous Civil War Journalism of Presidential Secretary William O. Stoddard, p. 58 (February 3, 1862). Michael Burlingame, editor, Dispatches from Lincoln’s White House: The Anonymous Civil War Journalism of Presidential Secretary William O. Stoddard, p. 72-73 (March 31, 1862). Gideon Welles, Diary of Gideon Welles, Volume II, p. 155 (September 21, 1864). Katherine Helm, The True Story of Mary, Wife of Lincoln, p. 228-230. Justin G. Turner and Linda Levitt Turner, editor, Mary Todd Lincoln: Her Life and Letters, p. 210 (Letter from Mary Todd Lincoln to Charles Sumner, March 23, 1865). Benjamin Thomas, Abraham Lincoln, p. 518.